So you’re looking to take Lady Luck on a vacation, but Las Vegas and Las Vegas East (Macau) is a bit played out. You’ve been there, done that and you don’t want the same old routine. Well, we’re here to help you spice things up. Before there was Las Vegas or Macau, Monaco was the world’s preeminent gambling hub. A lot of it has to do with the Casino de Monte-Carlo, which put the place on the map after opening its doors in 1863. At the time, the destination was deemed to be in the middle of nowhere. Nowadays the French Riviera is where the world’s billionaires go to play. Before you head into the casino, take a stroll around Port Hercule to see what is considered one of the largest collection of extravagant yachts. Each one is more impressive than the last. It’s a less-than-subtle hint that this is not the type of place to ask about $1 blackjack. 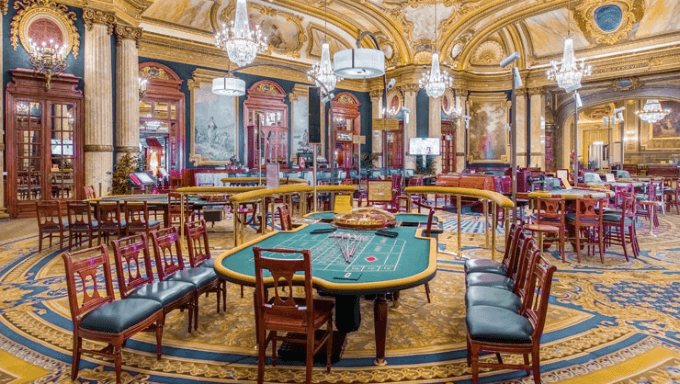 Afterwards, head up to the Casino de Monte-Carlo to see one of the most iconic casinos. You’ve surely seen it already as it has been featured in many Hollywood films. James Bond has spent ample time inside in movies like Never Say Never Again, GoldenEye, and Casino Royale, and Ocean’s Twelve was filmed there. The gaming floor itself features all sorts of action from roulette, to stud poker, to blackjack, to baccarat and much more. And if you’re looking for a little culture, check out the Opera de Monte-Carlo. You’re bound to be impressed by the structure itself as much as the performance inside. Don’t let the turquoise waters and power-white sand beaches distract you: a visit to the Caribbean is one the better gambling vacations one can make. While we didn’t pick a specific destination for this list, there are a number of options that we’ll highlight. Of course, the signature spot is The Atlantis in the Bahamas, with a world-class casino, including 85 gaming tables. The resort has its own beach, own gigantic aquarium and own Nobu. That’s enough to convince most. If you’re looking for an island that prioritizes the culinary delights, St. Martin/St. Maarten is your best bet.The half French, half Dutch island brings you the best of both worlds with the cuisine on the French side and the gambling on the Dutch. If you’re looking to go off the beaten path, options like the Royal Beach Casino in St. Kitts or the Renaissance Curacao will provide peace, serenity and slots. Lastly, if you can’t make up your mind, there are a number of major cruise ships that not only can take you island hopping, almost all of them have casinos onboard as well. Some sun, some snorkelling and some high-stakes. What else does one need? If you’ve never been to Africa, a visit to Sun City in the South is a good way to ease into the continent. Sun City is a hot bed of luxury, so you’ll still find a level of comfort you’ve come to expect with high-end accommodations, fine dining and golf. At the same time, a quick trip outside the boundaries can give you a taste of safaris, wild life and landscape like you’ve never seen before. When you’re in the mood for some action away from online casino tournaments, visit the Sun City Casino resort. There you’ll find more than 125,000 square feet of action, including 852 gaming machines and over 30 tables. If you’re still up for visiting the United States, but would rather a non-Vegas gambling option, the MGM National Harbor is the ideal setting. Located on the banks of the Potomac River, the MGM National Harbor allows you to dip your toe in to get a Vegas feel without getting drowned in too much of Sin City. Inside is the typical Vegas-like resort: a luxurious casino floor, a spa, incredible cocktails and top-notch dining. Celebrity chefs Marcus Samuelsson and Jose Andres both have restaurants inside. Once you step outside the doors, you’ll be a short Uber ride away from all sorts of Washington, D.C. sites like the White House, the Jefferson Memorial and the Washington Monument. Casinos are known for welcoming customers into the lap of luxury, but the Marina Bay Sands is another level. Located on the southern tip of Singapore, the entire property cost nearly $5.5 billion to build. To put that into perspective, the only building in the world that cost more to construct was the Abraj Al Bait in Mecca, Saudi Arabia which cost a measly $15 billion. The Marina Bay Sands is an architectural marvel comprised of three connected 55-story towers. Add in a SkyPark on the 57th floor, a 500-foot infinity pool and a Science Museum, and you can see why the costs this property cost so much. And what about the casino, you ask? It’s only the largest atrium casino on the planet with 500 gaming tables and 2500 slot machines. If you’re not doing Vegas or Macau, this is the ultimate adult playground.